There are many local, Loudoun-based nonprofits serving the needs of the Loudoun community. One of those local nonprofits is your American Red Cross. In fact, the American Red Cross has been serving Loudoun County for the past 99 years. March 9 will mark our 100-year anniversary here in Loudoun. We partner with local fire departments, which includes Loudoun County Fire and Rescue, to assist families displaced from their homes for reasons such as home fires, flooding, gas leaks, etc. This assistance includes mental health services to help families deal with the trauma of losing a home; financial assistance to help families with hotel stays, obtaining food and clothing; coordination with doctors to help with prescription refills; pediatric medical assistance for children in need; and much more. A joint initiative between your American Red Cross and Loudoun County Fire and Rescue is a county-wide fire prevention initiative to reduce home fire deaths and injuries by 25 percent over the next five years. We visit at-risk communities in Loudoun County to provide home fire safety education and to install free smoke alarms in homes where they are needed. This is a door-to-door initiative that needs the help of our community. You can register yourself and your family (these are family-friendly events) for our next Home Fire Campaign on Oct. 15 from 8 a.m. to 12 p.m. by visiting redcross.org/local/washington-dc/volunteer/smoke-alarm-installations or calling 571-293-1771. We recently finalized an agreement with Paul Davis Restoration in Ashburn to begin offering lifesaving skills training classes at their state-of-the-art training room. These classes include First Aid/CPR/AED training, babysitter training, and instructor trainer training. To find a class near you, visit www.redcross.org/take-a-class. We also offer free Hands-Only CPR training to any organization in Loudoun who can pull together at least 5 people. This 30-minute class provides you with the basics of what to do in the event you witness a sudden collapse. This is a great activity for Loudoun companies, HOAs, faith-based organizations or any organization who wants to prepare their teams. We supply more than 40 percent of the nation’s blood supply. 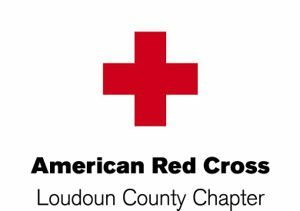 Loudoun County companies and organizations can help ensure the need for blood is met by hosting a community blood drive. Donors receive email notifications when their blood has been sent to a local hospital to help a patient in need. Please call 571-249-0364 if you are interested in hosting a blood drive. To donate, visit www.redcrossblood.org and enter your zip code to find a drive near you. Numerous Loudoun volunteers spend their time serving patients at Walter Reed National Military Medical Center. In fact, we have more than 600 Red Cross volunteers there from across the region. These volunteers provide care and comfort to patients in many ways: through our Red Cross Therapy Dog Program, making milkshakes for patients, assisting with physical rehabilitation, distributing Holiday Mail for Heroes cards, being part of the Weekend Comfort Cart Team, teaching yoga classes to wounded warriors and traumatic brain injury patients, or simply boosting patient morale. We support Loudoun military families during deployments and emergencies, provide financial assistance when needed, give information/community referrals, and continue serving our nation’s veterans after their service ends. To join our team as a volunteer, please contact Executive Director Erwin Stierle at 571-293-1771.